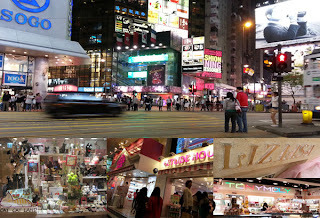 Hong Kong is similar to New York. Lots and lots of people, places to eat, places to see, and, of course, places to shop. I've been away for a week on a holiday before the summer convention season really begins. 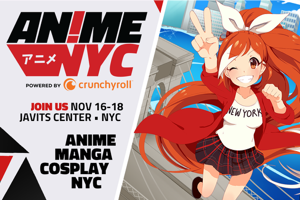 My parents were literally begging for my husband and I to make the trip (mainly to introduce him to the family), and thanks to some advanced planning we were able to take one week. His work took him to Sydney, so we got to go to Hong Kong as a pit stop. Usually I will record food after food dishes, but after the week all the dishes started to blend together into basic platters of chicken, fish, and vegetable. Initially we had been both worried about my husband's dietary restrictions but that was never a problem. Or rather the problem was being fed too much. It's hard to describe what to do in Hong Kong because there is so much or not much to do. 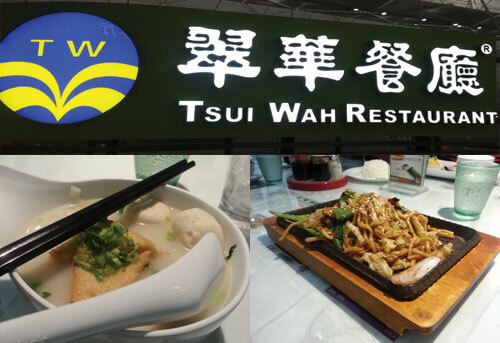 It is more about living the Hong Kong experience of shopping, eating, walking, and perhaps more eating. 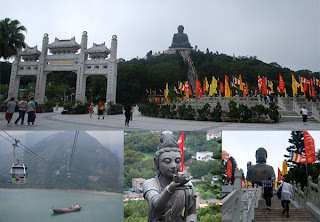 There are must-see attractions like the Tian Tan Buddha and Victoria Peak, but you could also be very happy just walking around all the street markets scattered in Mong Kok and Wan Chai. 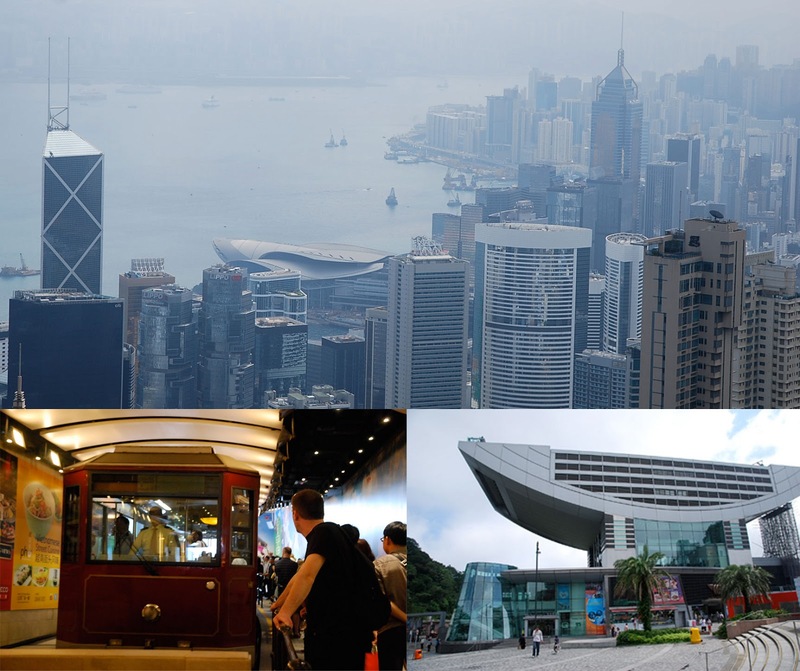 Armed with an Octopus Card, a main form of transportation fare (MTR), we were able to take everything from a tram to a ferry to the subway to double-decker buses. 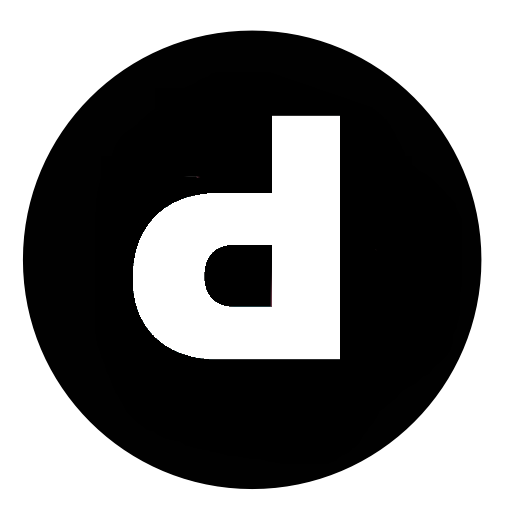 Supposedly now they are an accepted form of payment and select stores, like 7-Eleven etc. And thanks to Wi-Fi practically everywhere I was able to post snippets whenever I had the chance. Since we had such a short time to spend, it was a flurry of traveling to all the must-see sites. First stop was the Tian Tan Buddha, a giant Buddha statue and the top of a a mountain peak where you need to take a cable car to get to it. It was a special occasion so we took one with a glass floor –it was not scary as you might think, but quite cool once you were over water and trees. If you ever plan to visit I recommend not wearing a full skirt (as the cable car and mountainous area tends to be more windy than you expect. 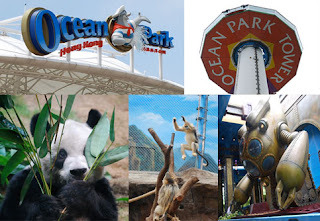 Monday we went to Ocean Park, the local amusement park/animal reserve. It was the amusement park of my childhood and it has improved tremendously since the last time I went. With a lot more rides and attractions. Even the food was better. 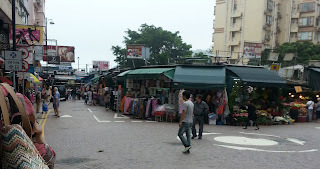 Tuesday we went to Western Market and then Stanley Market/Park since the original plan of visiting Victoria Peak was cancelled due to cloudy weather. 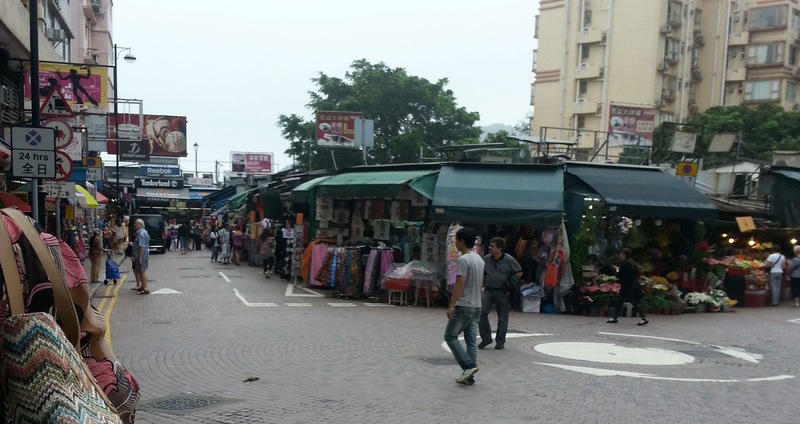 Stanley Market is a must-go if you want to go shopping with all kinds of clothing, wears, and souvenirs. Wednesday involved walking up the longest series of escalators. An odd attraction but an attraction nonetheless. Unfortunately for us it was half under construction—we had to walk all the way up and take it partially the way down. 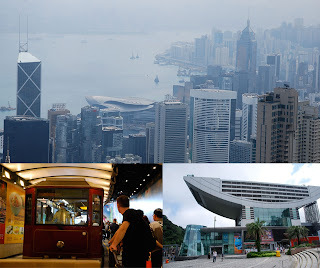 Then off to Victoria Peak, the highest point in Hong Kong and like the Empire State Building, it needed a clear day in order to see the bird's eye view of the city. You have the option of taking the bus or the tram. Thanks to our Octopus Card we were able to get to the highest viewpoint without paying extra tickets. After we heading to see the Rubber Duck Project at Tsim Tsah Tsui and get something to eat. 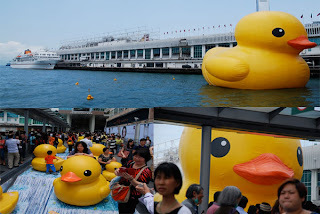 The Rubber Duck project was on my husband and I personal “must-see” - especially since it was only there for a month. A giant inflatable rubber duck that could only make you smile everytime you look at it. We even managed to get pictures with the smaller ducks along Harbour City's ferry terminal. The key was to go towards the end of the exhibition, where there were less ducks being photographed. Lunch was the usual, but we were able to finally try “fried milk,” a dish recommended by some friends of ours. 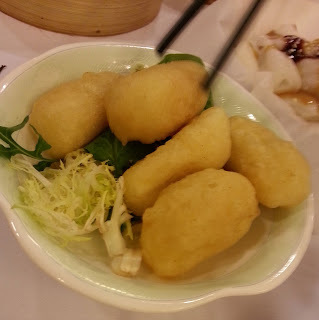 It turned out to be a custard like mixture and deep-fried; think fried tres leches in popper-size. For once, we were able to have some time to ourselves to explore the city at night. Or at least Causeway Bay. Being a vegetarian, my husband had a fixation on falafel and noticed BLT Burger had a falafel burger whenever we past by to take the MTR. Unbeknownst to me it was a New York based chain. If you've even been to LT burger it is brought to you by the same people but with a different flavor. I had a regular burger than seemingly got devoured right away. 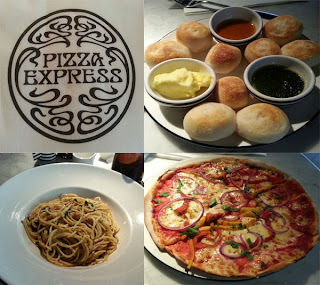 Either my stomach had been craving American style food or it was really good. Moist, juicy, and flavorful; I think I'll stick with it being a very good burger. 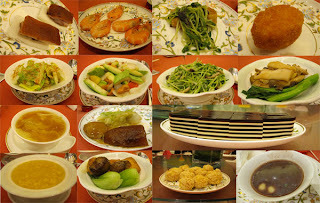 Thursday was the big dinner of introducing my husband to all the family. Which was mostly a very informal affair, but involved a lot of food. 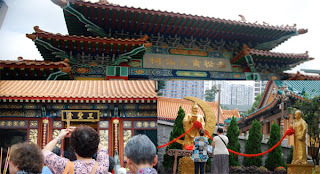 Friday was a scramble to get some last minute sightseeing in by going to the Wong Tai Sin Temple, a temple honoring Buddhism, Confucianism, and Taosim. Then it was just some last minute packing and shopping before we were on our way to Sydney. Oh and then one more meal at the airport.